The neo-Georgian Brooklyn College campus was ranked as more beautiful than any other college campus in the nation. 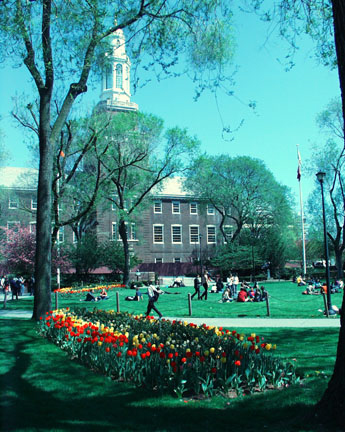 August 20, 2002 The 2003 edition of The Best 345 Colleges, published by the Princeton Review today, hails Brooklyn College as one of the premier public liberal arts colleges in the country. Students surveyed noted that the college provides a great deal of academic choice, including the popular film studies program, computer and information sciences, and the natural sciences. They also commended Brooklyn Colleges outstanding faculty. Considered a leading publication for students who are applying to colleges, The Best 345 Colleges includes a two-page overview of each school that examines the institutions culture, academics, social life, student body composition, and admissions procedures. Sidebars on each page supply further information in a tabular form, rating campus life, academics, and difficulty of admission, and providing a freshman profile and financial facts. The guide also includes frank student opinions on the colleges profiled, based on campus surveys of some 65,000 students.